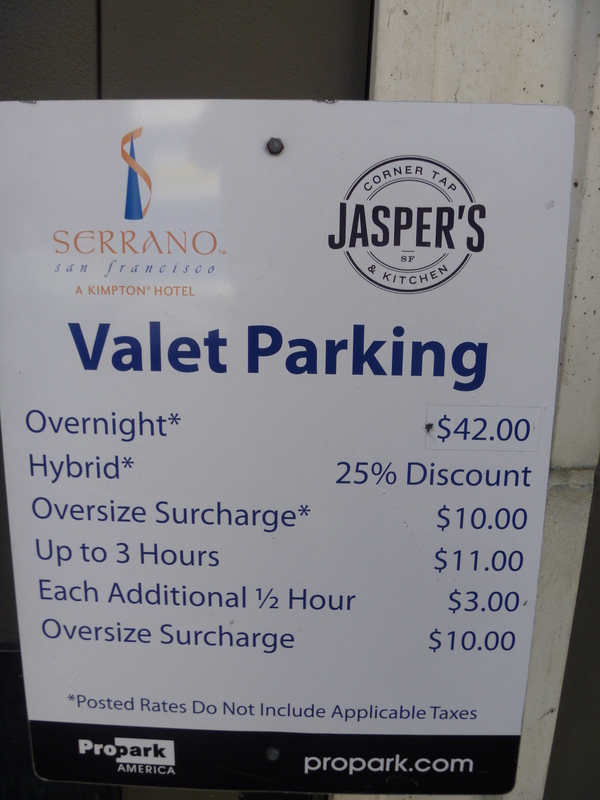 Where else in America would you get a 25% discount for parking if you had a Hybrid car? Only in California. Welcome to the West Coast. After a day of marketing I have much to share, from this little jaunt I got over 225 pictures! But first I nap. Lots more to come. The market today was amazing. Stay tuned. This entry was posted in Travel and tagged California, hybrid parking, San Francisco. Bookmark the permalink.